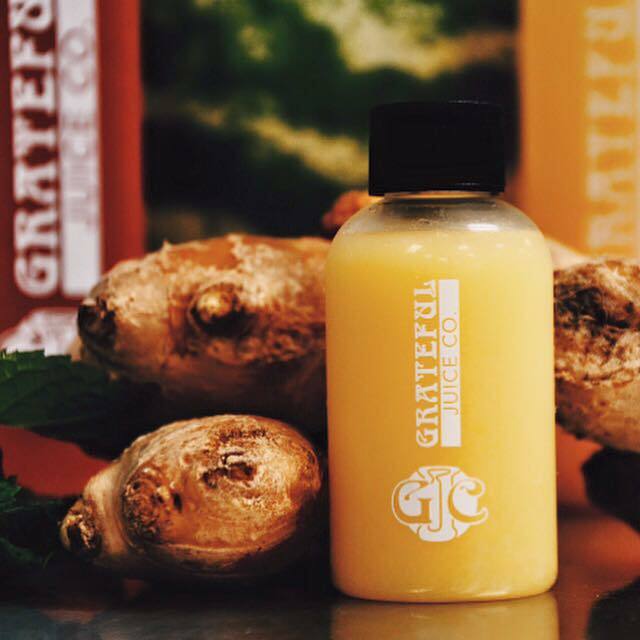 Drink Something Magical Everyday – Grateful Juice Co. Grateful Juice Co. is the brain child of Alexandrian, Kimberly Sickman Landini. Some of you may remember her from a profile that we did on her first business venture – Zweet Sport Athleisure Clothing Collection. She partnered with long-time friend and fellow athlete, Marja Toan, in designing clothing suited primarily for yoga with a concentration on “hot” yoga. They have since expanded their business to the Zweet Sport Hot Yoga Studio and more recently opening Zweet Sport Total Fitness Studio. Their focus in all of these projects is to promote healthy living and igniting self-transformation through yoga and total fitness. We will leave those fun businesses for another profile down the road. In addition to their main location in Junction Bakery & Bistro, you can purchase the juice and the almond mylk at Zweet Sport Hot Yoga located at 400 North Henry Street. You can also contact Kim directly and also arrange for cleanses, etc., by e-mailing kimberly@gratefuljuiceco.com.